» Proof That UFO's are Real! Proof That UFO's are Real! Ok, after l posted this elsewhere with the usual mind-numbing comebacks, l thought that posting this here, may enlighten than do otherwise. All of these images were taken from the Buzz Aldrin interview video, which also included footage of what was following the Apollo astronauts during their first and further missions to the moon. 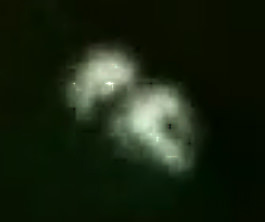 This video also shows the same UFO, as the video images l took below, (the original video or video's that used to be on Youtube are all gone). 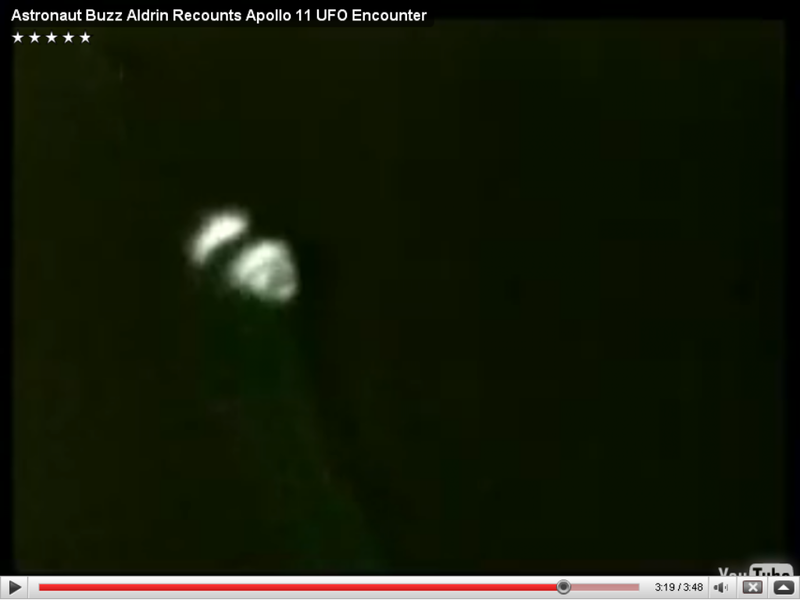 And NASA's explanation, (and Buzz's, later on when he changed his "this is a UFO story"). NASA claimed that this was a Lunar Module panel that was blown off, but as you will see, it isn't. And it wasn't the Russians since their Lunar 15, crashed long before Apollo got off the launchpad. This image shows the panels and more importantly the angle they were blown off. 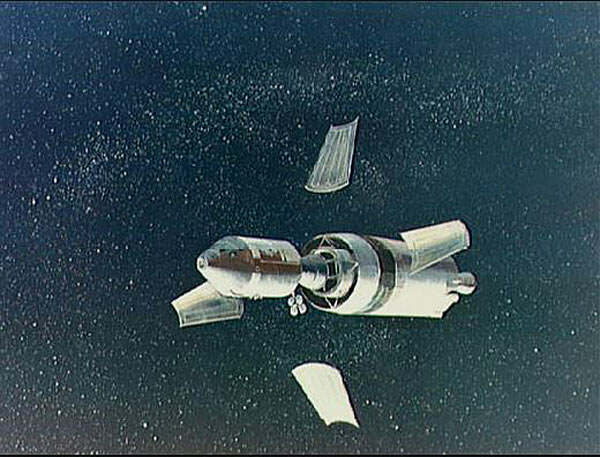 So NASA's coverstory is these panels spinning end to end, away from the Module are the UFO, in the video. 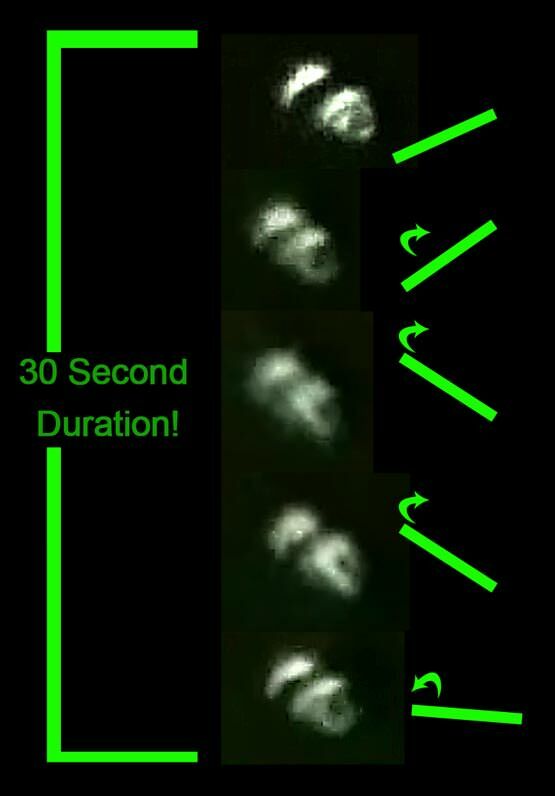 So analyzing all of the images l took within 30 seconds and in order show a 3D craft that is spinning or more accurately moving in one direction and then stopping and moving in the opposite direction. Further ananysis shows it looks nothing like the panels, and does not have the obvious triangle, (tinted winscreen) or the black line. Or this object has considerable height, the panel does not. 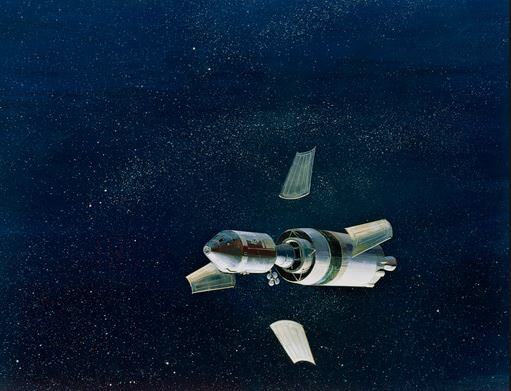 So the verifiable UFO that is following the Apollo module, does not look like the panel, does not move the way the panel is moving, (the panel is spinning away from us) does not have the obvious shapes and black lines, and does not have the elevation. 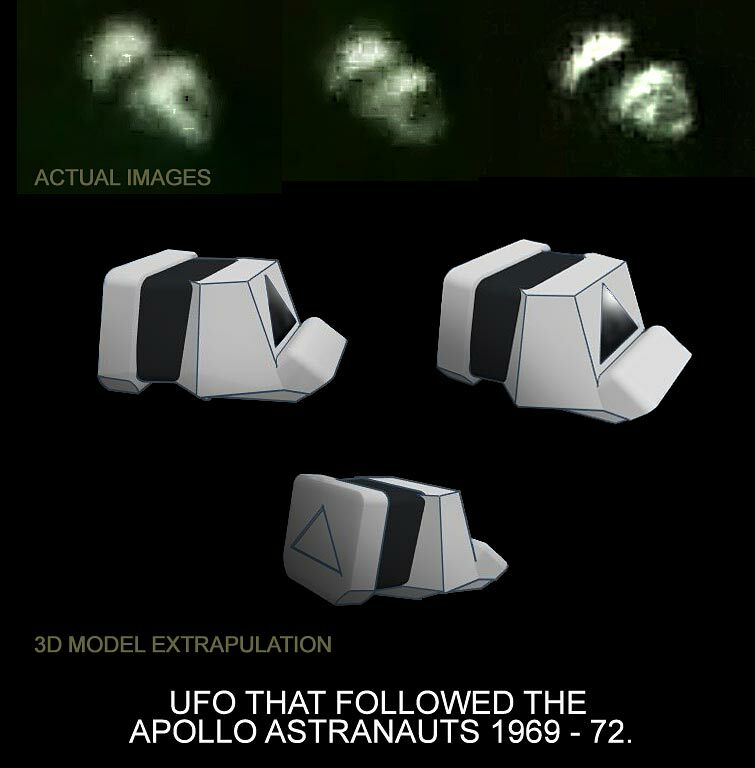 In other words, this is probably the first verifiable image of a UFO, that does not fit NASA's cover story in any way, shape or form. So we are supposed to believe in a round peg fitting a square hole, if NASA says so, this is also pretty damming evidence, (apart from my mars post) that NASA is suppressing and outright lying about UFO's in general. Pretty obvious that this is a UFO or advanced type shuttle, (as in Sci Fi movies) that is being controlled by aliens, (it could also be us from the future, but the triangular windscreen probably makes that unlikely. Re: Proof That UFO's are Real! An interesting narrative - I wasn't aware of this issue. I maintain an open mind on the subject in general. If we were being monitored by some alien civilisation, then a journey to the Moon would surely raise their interest just as if we were monitoring a primitive tribe who suddenly took up boat building and launch a boat down river...we'd want to monitor that wouldn't we? Us going to the moon is probably the greatest event in recorded history, so my guess is apart from waving their hands, was to shoot some holographic video, so they could give it to us when we finally make all out contact. Alien shaking the US presidents hand, etc. 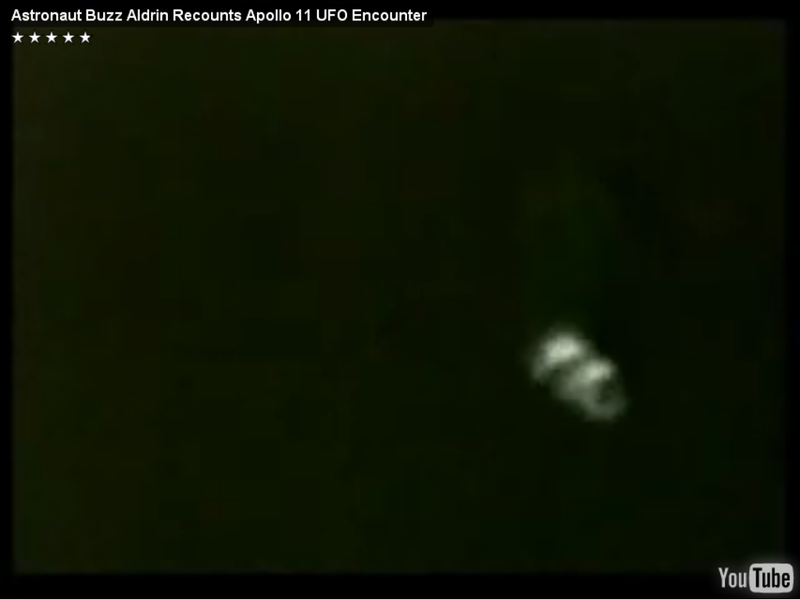 Buzz initially said that it was a UFO, but later on when NASA got to him, he went with the panel story, eventhough it isn't. And others tried to interview him about it, but every time he cancelled, (he doesn't want to get the boot from NASA or thrown in jail). Probably on Buzz'es deathbed he will finally tell the world what we already know that this is a solid, UFO, alien craft, (and we are not alone, it is just that we have an ars***e organization suppressing it all, (or trying to). Ok, my mistake, the video is still online, albeit the Spanish one. 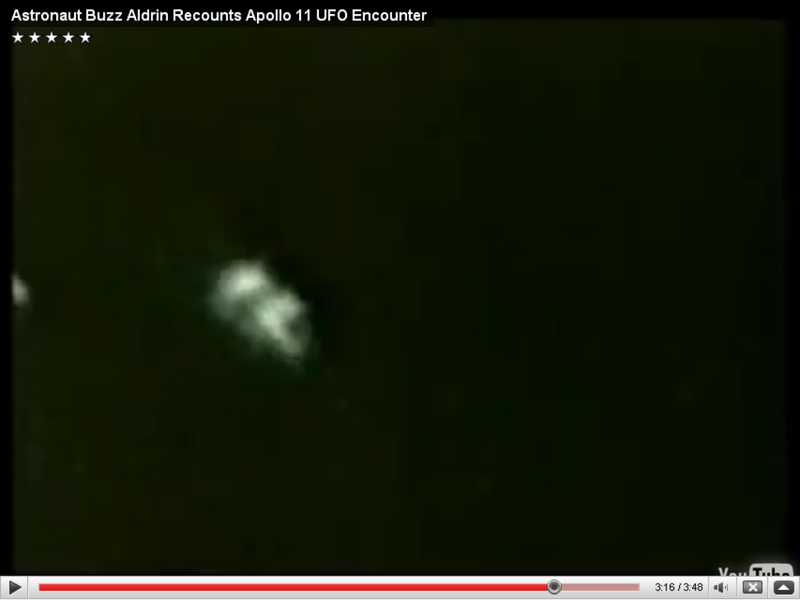 So, the above images have been verified by Buzz, and NASA. All of the panels and last stage were 11,000 km's away, when Buzz saw it, so NASA's cover story is dumb, and UFO's are real. Ok, l did a 3D model of what it probably looked like. And also posted this on another forum, with half a dozen, predictable replys. It always amazes me that the closer you get to proving something to a closed minded skeptic, the more they attack you. Attacking won't make it go away, or providing "see spot run" answers. Having half a brain, and believing in obvious evidence will! I recently saw, on "Tucker Carlson Tonight", report of a "UFO" at Chicago's O'Hare Airport (within the year?). 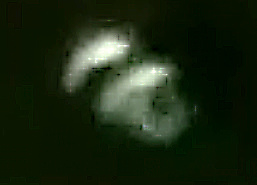 People saw this object shoot upwards (after it'd appeared - hovering - close to the ground/landing field) at a high rate of speed, and punch a hole through the clouds above. Yes, and l also recently saw a Russian jet with UFO's whizzling by, (the best closeup footage l have seen, google that). So plenty of evidence, but Smartphones have their limits, the evidence shown above is ironclad. But unfortunately there are some seriously deranged individuals who regardless of how much evidence you show them it is in one ear and out the other on other forums. It is literally like a breath of fresh air to come here, after a small army of dimwits has their say. And it seems that you calmly give the evidence, and they become more insane. This was the latest rant, on another forum with the same content as above. Rational person, lol, this one and others, verbally attacking, saying the evidence can be easily disproven and so forth, doesn't mean anything, apart from an emotional outburst. Only a few out of almost 10, tried and all didn't stack up. Virtually impossible for a 1970's video camera to capture a spinning panel at 11k away, with this much detail, a blurry dot is the best it could do, and as for it cathing up, nope, the panels kept up with the last stage which was 11k away and on a different tracterory when Buzz saw it. So it is virtually impossible that this UFO is the panel. But no, elsewhere, it is constant attacking with no evidence, and as is shown above. So don't bother posting conclusive proof of UFO's elsewhere, you only get frightened children attacking for the most part, and it gets tiring dealing with these truly demented individuals, who refuse to accept clear evidence and prefer to just attack instead. What happens when NASA finally owns up, (which should happen in the next 15 years) it will be like the Wright Brothers all over again, they fly a plane, and some still won't believe it. I'll admit that we're going to visit the UFO Museum in Roswell this month. First visit was in 1982; a family vacation. This time will be husband and I driving through (25th wedding anniversary), and I'd like to see it again. Post the pics here, and a team recently went, (they made up a story for the townsfolk) to the crash site and dug about a metre into the soil trying to find UFO debri. They found something as thin as paper but it could not be cut with scissors, or was as strong as steel. Last l heard they were analyzing it, but it shows that the military cannot be 100% thorough. So Roswell being a crashed ship from 15,000 years in our future, probably, but don't bother posting that elsewhere, delusional denial is common. It seems that the Moon is brimming with alien junk, most of it from the Atlantien race, and the other one. 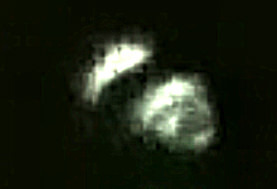 And Some of Saturns moons, pretty much shows how far NASA keeps fidding with images, to buy this. 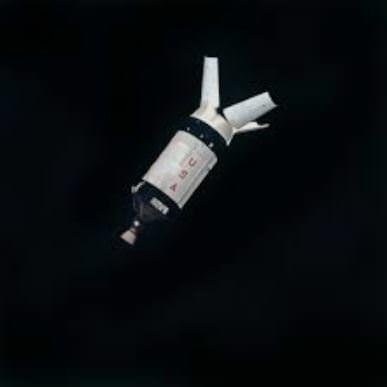 Looks like First Man, (movie) backs up the Panels flying away from the command/lunar module and being no where near it, when Buzz saw this alien craft. But human stupidity stays the same, apparently.